Instrumentation refers to the products built to help us take measurements of everything from size to weight and more. Proximity sensors, meters, readers, digital multimeters, hand held scanners, and even metal detectors collect and transmit valuable data in a primarily cost or safety driven marketplace of goods used by consumers and companies alike. 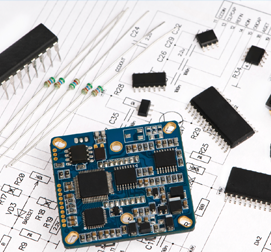 With the components we supply like IC’s, analog to digital converters, pneumatic and electronic control systems, control loop adjustments, process computers, process simulation, programmable logic controllers, MCUs, high frequency capacitors, high speed connectors, and sensors. Current measurement and instrumentation devices have made great technological advancements ovver the past twenty years.